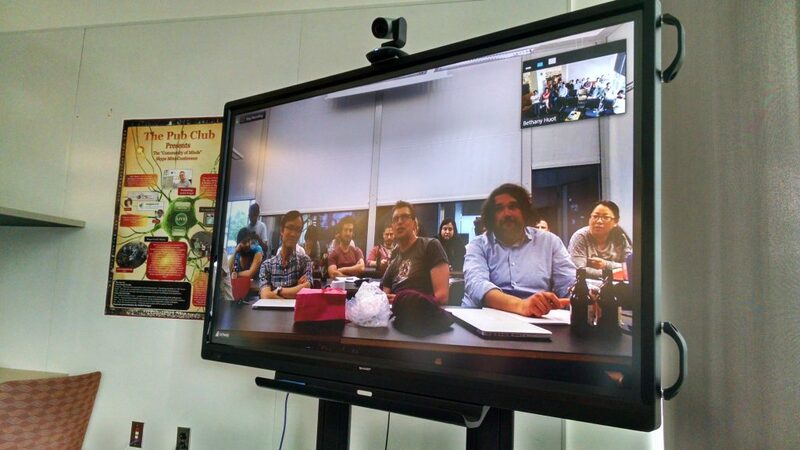 Friday, May 13, 2016, The Pub Club had our first ever Skype mini-conference event. We had the great opportunity to meet with the entire Weigel lab in Tuebingen, Germany without ever leaving East Lansing, MI! 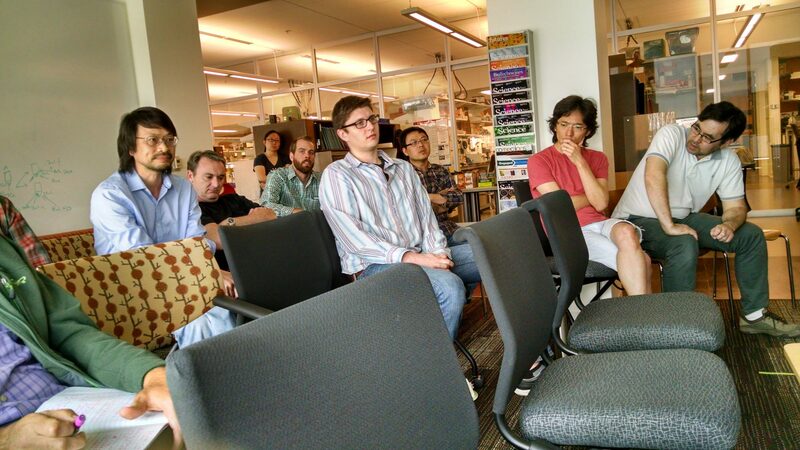 On the MSU – Pub Club side, we had 5 professors (Sheng Yang He, Brad Day, Gregg Howe, Greg Bonito and David Lowry) and 20 students/post docs present. Using our “speed dating” approach, we alternated back and forth with each side having opportunities to share our research and get group input. This resulted in some great science conversation and ideas. Our hope is that this interaction will only be the beginning of a great multi-lab relationship. To help facilitate this, we will be creating a forum page where members of The Pub Club can interact at any time with members of Weigel World, so stay tuned! Update: The forum page has been created. click here to take a look at “The Hub Net.” Then go to the “Hub” (main page) click “Join the Forum” to register to participate. See You There! In the mean time, we would love to capture the event by having everyone who participated share your reflections. Don’t worry, it doesn’t have to be long or fancy, simply share your experience. How did you feel about the event? What was your favorite (and/or least favorite) part? What did you learn? Did you gain any useful tips that you can use in your research? Would you like to do something like this again? Please use the comment box (below) to share your thoughts. It was a great time seeing what projects were being worked on in Detlef’s lab. I was particularly fascinated in how there was substantial variation between various organs in Arabidopsis. Does that type of variation exist from early colonization events that establish disparate populations? How do those populations persist over time or with changing environmental conditions? So many questions, so few characters! Looking forward to the next interaction with the Weigel Lab! We had a great time talking science with Weigel World and hearing about Detlef’s scientific journey – from caterpillar to scientific butterfly! Why wait for conferences when technology enables us to connect any time? Looking forward to more interactions on The Hub Net forum!